I'm not one for much Christmas gift giving. The frenzy is a big turn off. I like to give gifts, really I do! I just don't have many people to buy for because I'm a salty old dog. It disturbs me how NPR reports the status of retail sales every damn night in the weeks leading up to Xmas. As they rattle on about the numbers, I envision a big front-end loader dumping garbage and plastic toys into a landfill. Oh well, I'm grinch-y like that. It's because I didn't get one very specific piece of plastic in 1986; The She-ra Princess of Power Castle. (Which is selling on ebay for $219!! !OMG I STILL WANT IT) A plastic castle so beautiful - so magical that only the best children got one. That Christmas morning proved to be a crucial juncture in my childhood - a defining moment - all my potential ambition and motivation in life crystallizing under the Christmas Tree; You want something, you have to get it yourself! All that said, I did in fact get a few very nice things this Christmas. 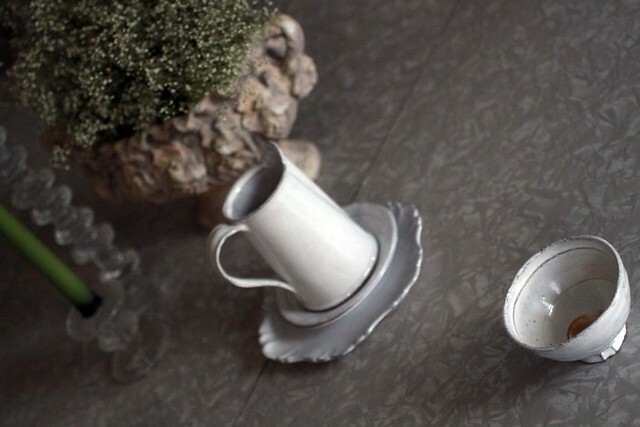 I've always lusted over the dishes that Astier de Villatte makes, they are so simple and elegant. Eric surprised me this Christmas with a little coffee set - a start of my very own collection! I love them so much and I feel like a princess using them every morning. I actually struggled to even buy our kiddos gifts this year (we quite adult gifts a few years back). I bet 90% of all the battery powered, synthetic, flame retardant dipped crap under every American tree will be at the dump within a year. Yuck! Instead we opted for a few super high quality things that will stand the test of time and stopped. It felt so GOOD not to overindulge! Best part….the kids were more content and appreciative than they ever have been! Oh gosh, your new dishes are beautiful! Also, you just can't beat a good pastry cutter. I agree on the gift giving thing. So much is wasted and so few gifts are actually meaningful. Why don't we all just give really special gifts when we come across them throughout the year and then relax and enjoy each other's company once the holidays roll around? I've always loved them too, I call it marshmallow glaze!!! mmm, fill with dark hot chocolate, and marshmallow fluff.... perfection! My parents are so lucky I didn't know there was a castle for She-Ra (they were smart folks with very strict tv rules, so i never saw those commercials). Jealous! I love Astier de Villatte so much. I go to ABC Carpet just to lust after them. Though the pastry cutter is also sweet. Maybe test it on some scones? You are a lucky girl! I love Astier de Villatte too. 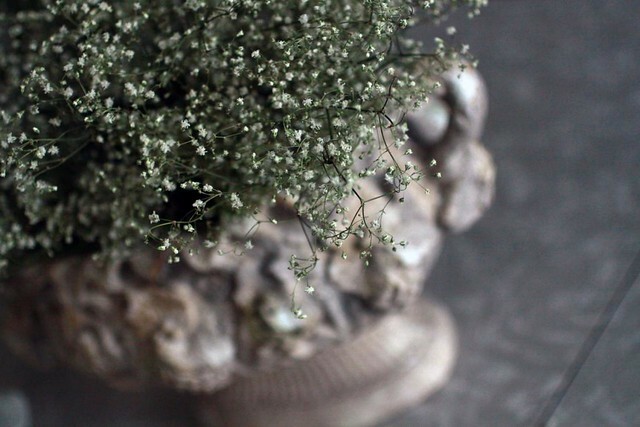 i want to get the large astier de villatte vase that looks like a tin can and take it to you and have you fill it up with flowers for my house.